With a population of over 28 million and growing, Texas is one of the most highly inhabited states in the US. In order to power the homes and businesses within it, Texas produces more electricity than any other state, using roughly 400,000 million kilowatt-hours and enabling residents to consume billions of dollars worth of electricity. As of 2002, the Texas electricity market was deregulated, allowing residents to select their own electricity provider from one of the numerous service companies. 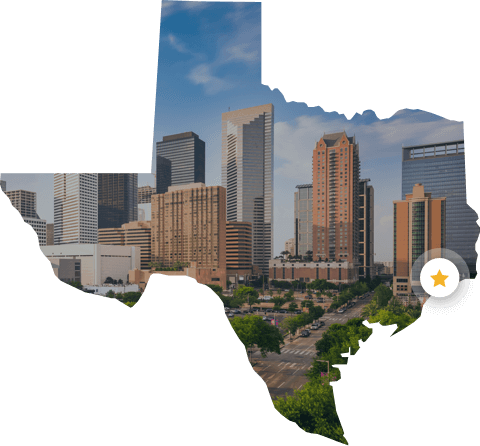 Containing some of the most far-reaching landscapes and densely populated cities in the country, Texas is home to a variety of exciting attractions. Along with locations like the Alamo and NASA’s Johnson Space Center, the state also offers natural settings that include the Cascade Caverns and Big Bend National Park. With demand stemming from residents and tourists alike, providing power to the Lone Star State is an important duty to be entrusted only to a dependable electricity resource that can prioritize affordability. On average, Texas residents spend around $130 per month on electricity, higher than the national electricity average of $107. Depending on where you live and how much you use, Payless Power’s lower electric rates can help you to cut your monthly electricity bill and save hundreds on your power bill each year, with rates starting at 8 cents per kWh. If slashing your electric bill is your goal, Payless Power is the Texas electricity provider for you. Payless Power is a Texas electricity provider that offers cheap, pay as you go service, allowing you to choose how much you spend monthly. Putting residents first, we provide affordable Texas electricity rates with no deposit or credit check required, allowing you to get service regardless of your income or credit history. We take great pride in the service we deliver to our customers and the savings we can help them to achieve. Online services are very convenient and easy to use! Customer service is outstanding! Had issues connecting my service due to previous tenants and PayLess worked diligently until those issues were resolved and my service initiated! The daily notifications of usage are great, enabling me to know exactly where my account stands! The other reports are easy to read and comprehensive. The online payment feature is also very useful. I’m extremely impressed with Payless Power!!! I appreciate being able to manage my electric power usage. The daily usage reports enable me to control energy costs, reserving power for really hot days. I am a satisfied customer! Payless Power has been fabulous! -Same day activation for FREE!